Houses & Homes VA: Have you seen the new 8-in1 Micro Kitchen design on the market? Very Cool! 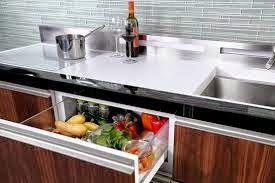 Have you seen the new 8-in1 Micro Kitchen design on the market? Very Cool! I have written many blogs about technology and how it can improve our daily lives. It always amazes me when I see something new that can make my life a little easier or save me time and trouble. Today for the first time I saw something made by General Electric that I have never seen before and it really impressed me. It is called the Micro Kitchen and that’s exactly what it is! In my line of work I have probably seen thousands of kitchens but I have never seen anything quite like this. 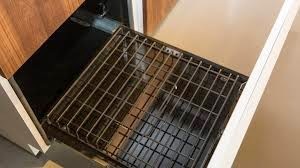 Basically it is a space saving designed module that includes everything you might expect to find in a modern kitchen except that it is counter height and only 6 feet wide! 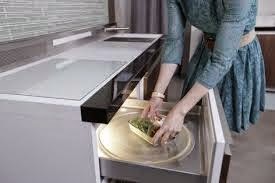 I can see a lot of uses for this type of “mini kitchen” including small homes, apartments and condominiums. 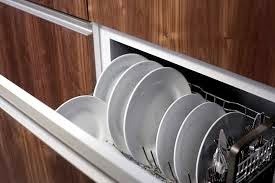 While it might not be perfect for everyone it is a great way to save space without losing any of the conveniences that we have all come to expect in our homes. The unit includes an induction cook top, a sink, a microwave oven, a standard oven, a dishwasher and two separate cooling drawers. One great feature is that each of the 2 cooling drawers is programmable and can be used as either a freezer or a refrigerator depending upon your needs at the time. That feature alone is most impressive! 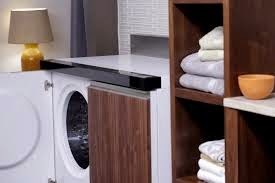 Also available is an additional module that contains both a washer and dryer for the ultimate space saving design. According to G.E. there is a big increase in the demand for more compact appliances as a result of the increase in high rise construction in different parts of the country. The unit is expected to be available by the end of the year and the estimated price tag will be around $15,000. Maybe this is not your “cup of tea” but I think it’s a perfect solution for people living in smaller homes where conserving space is a must.